A FORMER graduate from the HND and BA journalism courses at Napier University of Edinburgh has just been appointed European editor of the Wall Street Journal’ online operation. 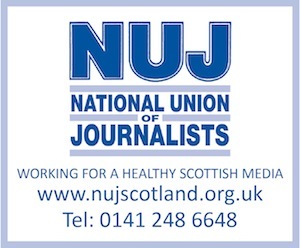 Neil McIntosh, founding editor of Napier’s ‘Veritas’ student newspaper and a former sub-editor with the Edinburgh Evening News, is expected to take up the position at wsj.com in the New Year. In doing so McIntosh, from Dunoon, leaves his current berth as head of editorial development at guardian.co.uk, having joined as deputy editor of its technology section in 1999. He was once dubbed Britain’s ‘Godfather of Blog’ after introducing Online Blog to the paper with Jack Schofield and Vic Keegan seven years ago, before being promoted to assistant editor of Guardian Unlimited three years later. Armed with a Masters in Business Administration, his most recent role saw him roll out the paper’s blog, audio and video services, while developing its strategy ahead of a planned move to offices at Kings Place in London. McIntosh will lead the development of wsj.com from London and also be involved in other special projects from their global headquarters in New York.